A Cantonese tradition, yum cha means to “sip tea” accompanied by pre-lunch dim sum and, ideally, fabulous company. Sydney-siders stereotypically go a bit nuts for a good social yum cha session. Here are our picks of Central Sydney’s best. 1. Sky Phoenix Sky Phoenix has been satisfying Sydney CBD workers for over a decade. Hidden away on level 6 of Westfield, it’s possible you’ve never known of its existence, despite walking past its entry every time you’ve waltzed down Pitt Street Mall. 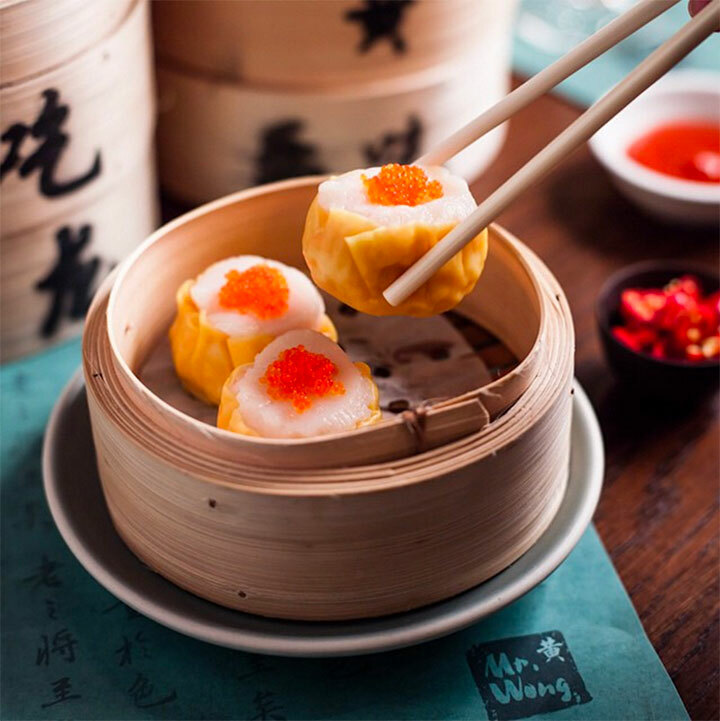 A ride up the escalator right next to Sportsgirl will deliver you to quite possibly the best Siu Mai (pork dim sum) your mouth’s ever experienced. The décor is modern (think deep mahogany rather than the expected red and green fare), the staff are fast (so be alert when those trolleys rush past) and tables are full – so plan ahead and arrive early. 2. Mr. Wong Taking up residence in the old Tank nightclub, Merivale Group-owned Mr. Wong is where the designer set do Chinese. Their yum cha is as modern as it gets (think scallop and lobster dumplings, and for the vegetarians, a wild mushroom version), and probably as pricey as it gets too. But you don’t just come here for the food – you come for the star-spotting, the cocktails (try the Tin Hau Temple, $19) and the Facebook check-in potential. 3. Palace Chinese Restaurant Located on the top floor of the Piccadilly Centre, this is a favourite amongst the nine-to-fivers. Offering the standard yum cha favourites, but prepared to perfection (try the prawn cheung fun – rice noodle rolls), Palace is also one of the last Chinese restaurants in Sydney to serve ngau lei sou (deep-fried bread). An added bonus is the cheap-as-chips parking deal on offer. Park downstairs and you’ll pay a flat rate of $8. Score! 4. Bodhi Restaurant It used to be that vegans would sit politely, munching on a plate of greens at yum cha while their pals chowed down on the good stuff. Enter Bodhi and their vegan-only menu. Yum cha offerings include shitake mushroom and asparagus dumplings, and the house favourite, sweet Japanese pumpkin dumplings. Most of the dishes can also be made gluten-free, and matched to certified organic wines. 5. Marigold A Chinatown institution, you haven’t yum cha’d until you’ve yum cha’d at Marigold, and the reason is simple: they’re not trying to re-invent the wheel. They stick to what they know – which is outstanding prawn, pork and vegetable dumplings – and they’re consistently awesome at it. You’re not going to find fancy modern décor or a cocktail list to blow your mind, but this truly is Cantonese dim sum at its finest. ABOUT THE AUTHOR: Sydney born and raised Kerrie Simon-Lawrence has spent the last decade abroad where, in addition to launching and editing Cosmopolitan Middle East, she has edited GRAZIA Middle East, launched and edited GRAZIA Bahrain, and most recently, edited GRAZIA South Africa. She is currently based in Johannesburg.